Our Mission at Pro-Health Nursing Services, Inc. The agency is committed to providing quality healthcare, physical and emotional comfort to all its clients in a fashion of unparalleled excellence. We are committed to working within the financial means of all our clients while bringing quality care to the home care environment and treating each person with respect and compassion. We work as a multi-disciplinary team of professionals spanning the practice of nursing, rehabilitative therapy, personal care and social work. Everything that you need to ensure continuity of care for yourself or a loved one is here. We can help with post-hospitalization after-surgery care and companionship into ageing. 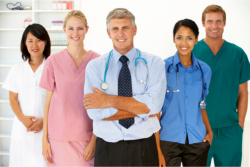 Pro-Health Nursing Services, Inc. is an equal opportunity employer and services provider. In observation of Title VI of the Civil Rights Act of 1964, our company does not exclude, discriminate or deny benefits to any eligible person, client, customer or employee on the grounds of gender, color, national origin, religion, race, sexual orientation, age, disability, ancestry or citizenship.